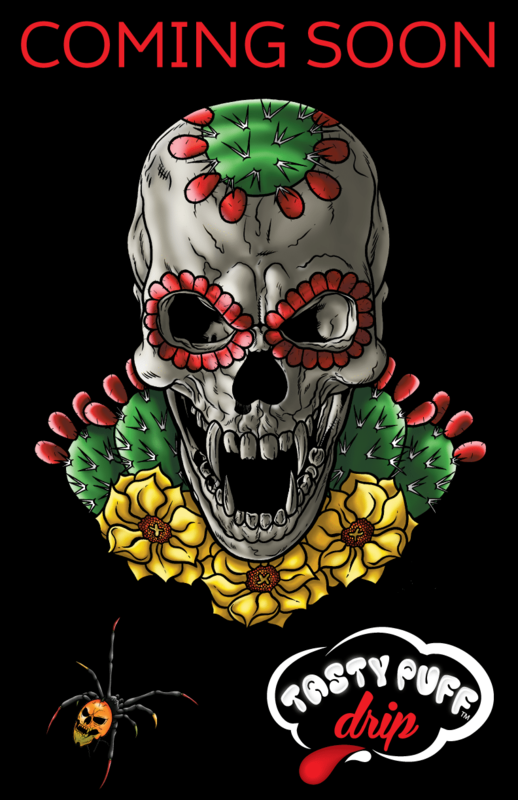 Albuquerque, NM ­– Tasty Puff, “The Grand Daddy of Flavor”, has done it again with a brand new line of Drip Juice formulas that carry the famous Tasty Puff name. You will find six flavors in each line. The 0, 3, and 6mg formulas are PG free, and packed with flavor. With the use of RDA Atomizers on the rise in the vape community, the Vapor Connoisseur is searching for the perfect blend of VG, flavor and nicotine. These specialized high performance e-liquids produce enormous clouds of vapor. 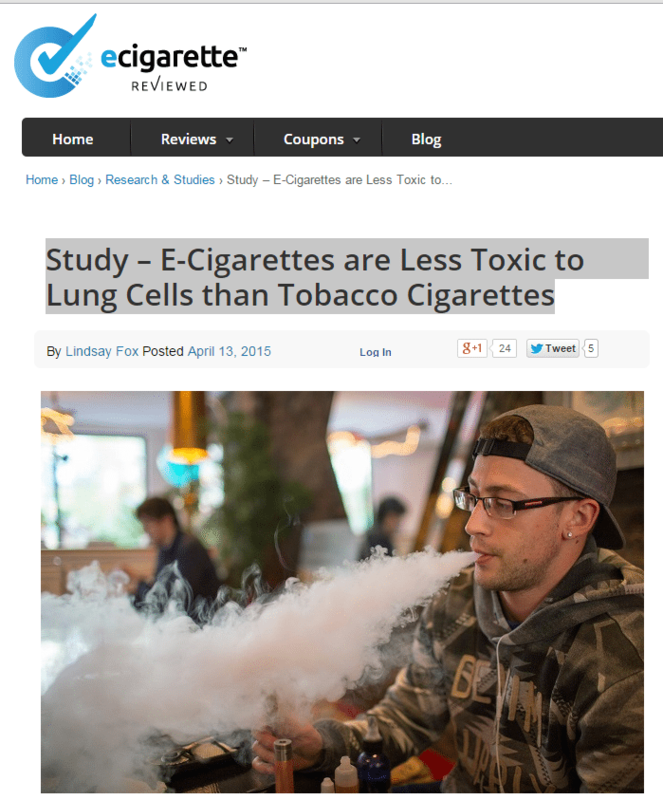 The difference between Tasty Puff Drip formulas and most other brands on the market is that the high quality flavor concentrate, that only Tasty Puff can produce, is superior enough to carry the flavor through the juice without the PG content. 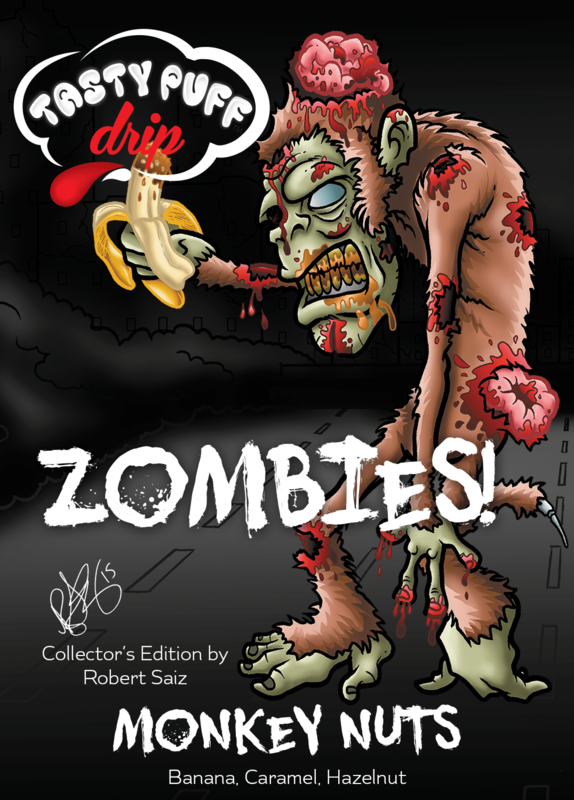 The Zombie Drip Collection consists of these flavors: Hula Horror (Tropical), Java Jacked (Vanilla Latte), Kill Billy (Rootbeer Float), Monkey Nuts (Banana, Caramel, Hazelnut), Scare Bear (Gummy Bear), and Spa Zombie (Cucumber, Mint, Green Tea). 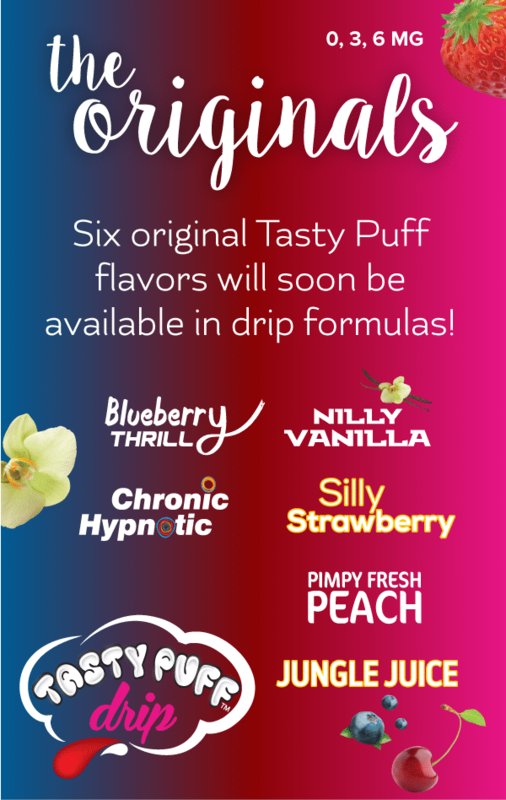 Six original Tasty Puff flavors will soon be available in a drip juice formulas! Tasty Puff Drip Juice is available in 0, 3, and 6 mg. Look out for these Top sellers on tastypuff.com or check with your local retailer: Blueberry Thrill, Chronic Hypnotic, Jungle Juice, Pimpy Fresh Peach, Nilly Vanilla, and Silly Strawberry. 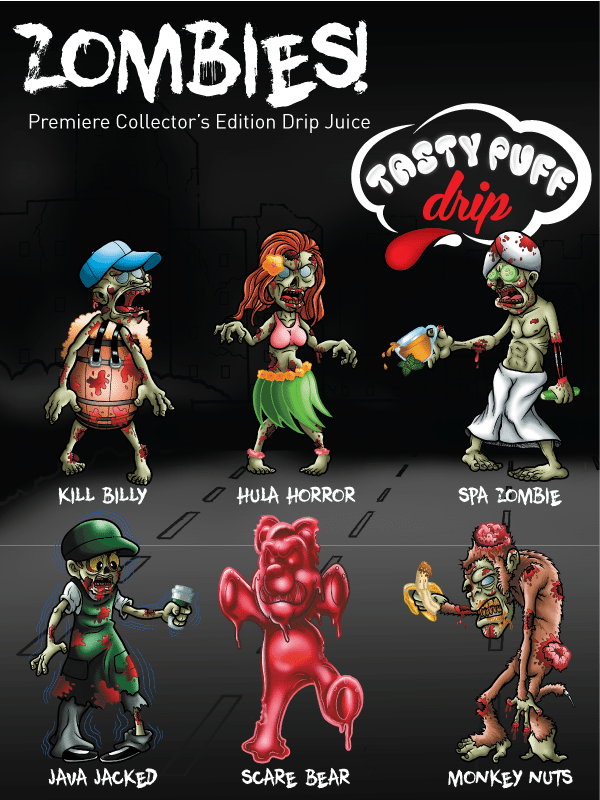 Zenith Team has just posted a review of Tasty Puff Drip Juice, and our Scare Bear flavor received a 7.5 out of 10! Tasty Puff Drip Juice is PG free and packed with flavor. 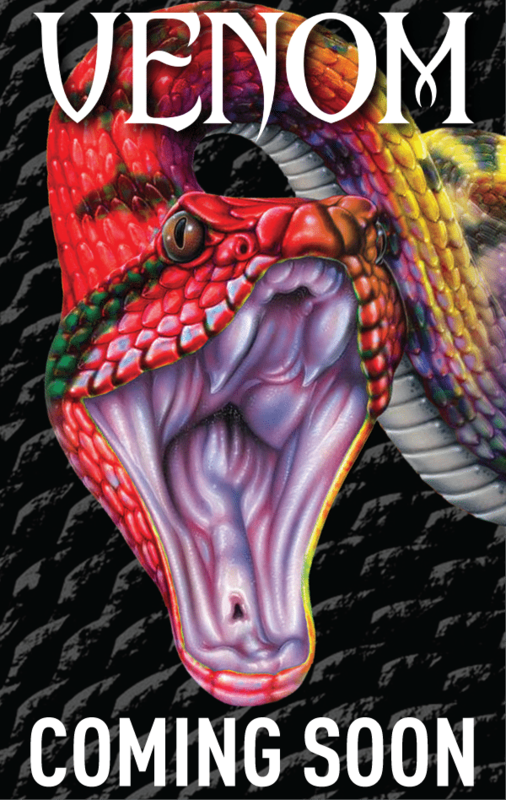 Check out our 6 flavor Zombie Collector’s Edition line, and our 6 flavor Venom line. Tasty Man, Tasty! Enjoy a 20% Discount when you purchase 3 bottles of Tasty Puff Drip Juice! This offer is good through August of 2015. Happy Holidays From Tasty Puff! It’s been a wonderful year thank you for all your continued business and support. Happy Holidays!